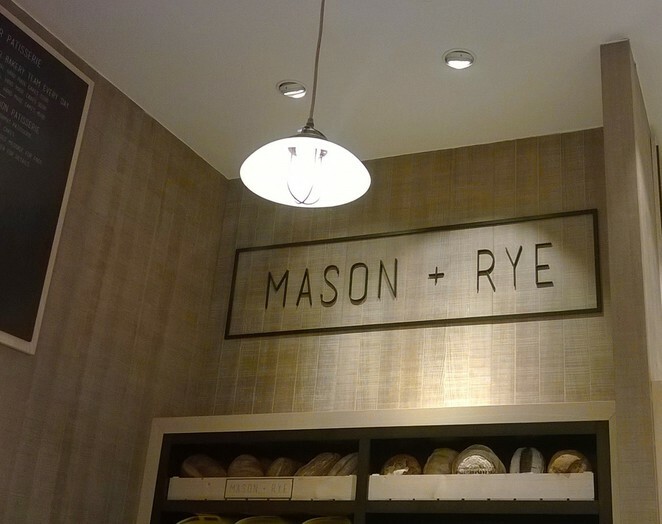 Mason and Rye is a long, modern patisserie which sweeps the back of Fenwicks' famous Food Hall. When scouting the city for a place to eat it can be easy to forget about this subterranean eatery, so it was with deliberate delight that I sought it out for a light lunch this past weekend. The cafe (/bakery /patisserie /restaurant) is decorated with clean and fresh neutrals. 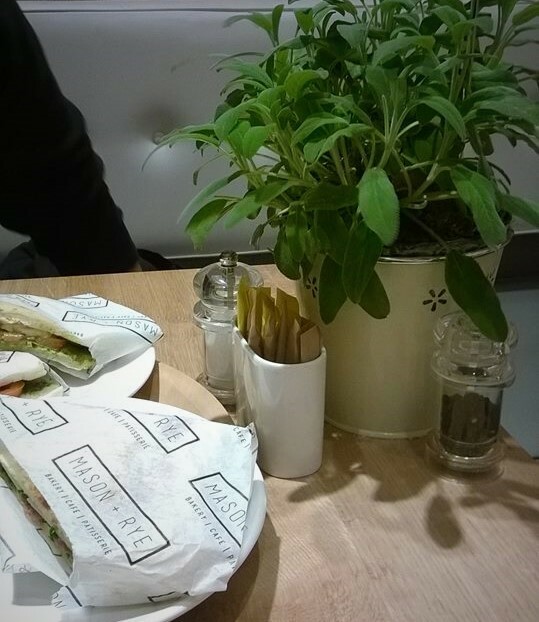 Smalls pops of colour, such as the flowerpots on each table, save it from being too clinical and give a natural aroma to the dining area. Most of the food is deli-style, with long benchtops displaying the wares behind immaculately clean glass screens and cloches. I chose a tuscan salami and aged gruyere closed flatbread, which was delicious. The neatly-dressed attendant couldn't tell me if gruyere was a blue cheese or not, but a helpful nearby customer leaned over to explain that it's more like a strong edam. 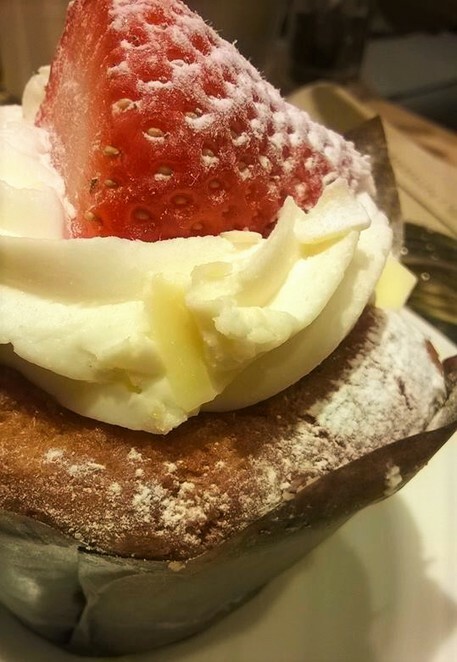 I also had a pot of green tea, and then couldn't resist going back for a strawberry and mascarpone muffin, which was truly scrumptious! Despite not understanding the ingredients of their food, the staff were generally helpful and cheery. I couldn't fault the presentation of the food, and the prices were reasonable considering the upmarket atmosphere. I can't wait to visit again, mainly to try the other desserts on offer!